Alex is the Vice President of Harbor Research and an expert in smart systems thinking and design. He is responsible for leading the firm’s marketing, operations, and business development strategy. Alex also helps lead Harbor’s Smart Systems Lab program – a real world laboratory where organizations can design, prototype, and test new models for delivering smart systems and services value. Alex brings broad client experience in strategy consulting, value chain analysis, and research development across a variety of industries including industrial, energy, manufacturing, transportation, smart cities and telecom. He also has deep experience developing qualitative and quantitative research studies related to the Internet of Things and smart systems. He has helped develop Harbor’s research programs, methodologies, designs, and services. Alex is extremely well versed on the space, specializing in industrial automation and analytics, and is a frequent speaker, moderator, panelist, and contributor to industry events and media publications. In particular, Alex is the organizer of IoT Colorado’s Meetup. Prior to joining Harbor, Alex worked with Biotrends International, a venture investment firm. Alex conducted market and competitive analysis as well as due diligence focused on early stage investments in the medical device arena. Alex earned his Bachelor of Arts degree in business and international relations at the University of Denver. Alex brings a passion that drives his work— that IoT can help solve big world issues like water, energy and food. 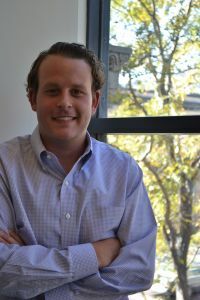 But when he’s not researching the future of business and technology, Alex enjoys rooting on the Denver Pioneers basketball team, skiing and golfing in the Rocky Mountains.